I faced the same issue. I was not able to enable Install Via USB option, however, I found a solution that actually worked. Here are the steps to enable it. Not the answer you're looking for? Browse other questions tagged android-usb redmi-device miui xiaomi redmi-permission or ask your own question. 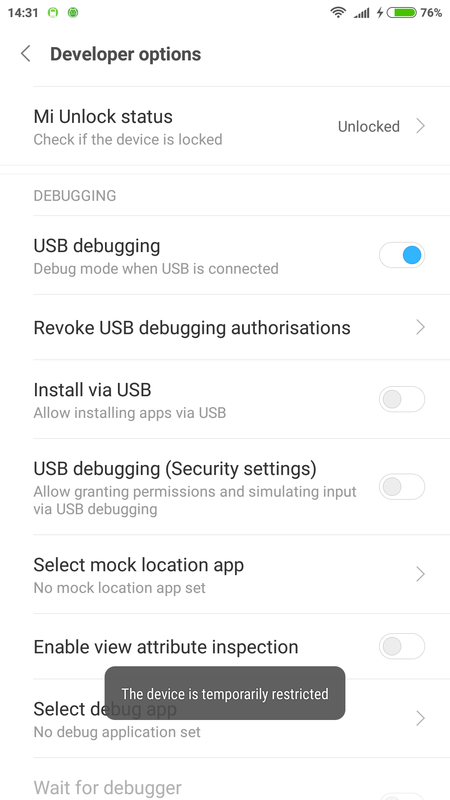 How to enable Install Via USB in Xiaomi Redimi Note 4?